It’s hard to believe that Fall has finally arrived! Kids going back to school, the start of football season, or Halloween with its candy and costumes… being prepared for all these events requires performing certain tasks in advance. Protecting your commercial HVAC system during the cold, harsh months ahead is another thing that requires advance preparation. And it’s one you can’t afford to overlook. Taking care of a few simple tasks now can help you avoid the unnecessary expense of outages, repair calls, and systems that wear out too quickly. 1. Remove and clean the burners. Over the summer, dirt and dust will have landed on the them. Dirty burners can cause poor combustion, soot, and condensation which can shorten the life of the furnace. 2. Inspect the heat exchanger for cracks and deterioration. A cracked heat exchanger could push or pull too much air into the combustion chamber. It also releases gasses into the duct system, which can result in carbon monoxide poisoning. 3. Clean and adjust the pilot assembly. Dirty pilot areas are easily extinguished, thus causing the furnace to shut down. You want to make sure the pilot area is clean so it continues to stay on. 4. Boiler Check and set-up. Go through the steps for startup to make sure all parts are operational and ready for the season. 5. Inspect the gas line. Gas leaks are dangerous and hazardous to health. It is critical that the lines be thoroughly inspected to confirm there are no leaks. 6. Check the belts and pulleys. Loose belts and worn pulleys decrease air flow, which increases operating costs and shortens the life of the compressor. Belts also crack and break with age. Replacing them when they are showing signs of excess wear will prevent a breakdown. 7. Clean and inspect the evaporator coil. A dirty coil can restrict air airflow, which can cause overheating and will run up your operating costs. Making sure the evaporator coil is clean and free of leaks will prevent these problems. 8. Inspect and lubricate the motor and bearings. These need to be inspected and properly lubricated in order to run efficiently. Insufficient lubrication could cause friction, leading to failure. Preventive maintenance is cheaper and less disruptive than repairs and replacements. Many business owners attempt to do these tasks on their own or appoint an employee to do them. Sometimes, that’s OK for some simpler tasks. But HVAC systems are complex machines with many parts and components that can cause problems, or even be broken if they aren’t handled correctly. A certified HVAC technician not only knows these components and how to handle them, but also how to spot looming problems before they cause breakdowns. To avoid these issues, make sure your system maintenance is performed by an experienced HVAC professional. 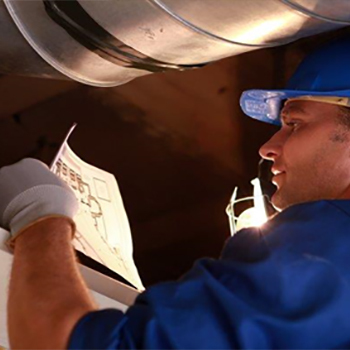 Ready to invest in preventive maintenance for your system? Hardy Services offers Preventative Maintenance Plans customized to your unique needs. For more information, call us at (205) 591-5678 today!